This last week of training went by so fast! Being swamped at work helped me not obsess over the fact I was running the Boston Freaking Marathon in a few days. Getting my number at the expo. One of 98,638 times I got emotional during the week. Finally having that little piece of paper in my hands meant everything to me. Almost exactly a year ago I qualified for Boston in the Carmel marathon- I've waited a year for this moment. Running into Bart Yasso multiple times was also pretty cool. 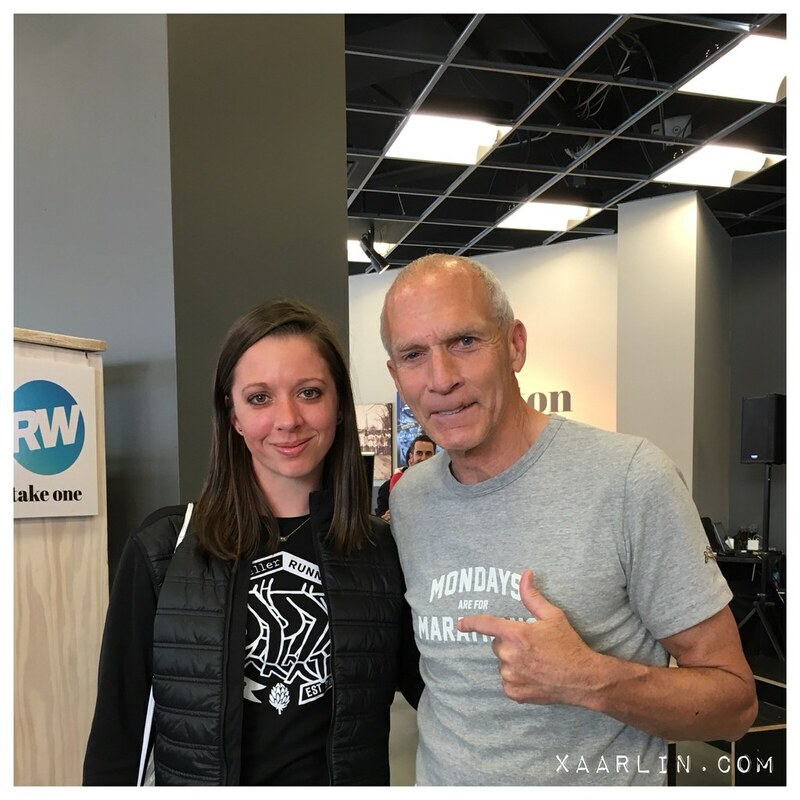 Ive heard him speak at Fleet Feet a few times- he's a great ambassador to the running community. I ran outside with the CB dog before work one morning. To see the sunrise with him was so nice. 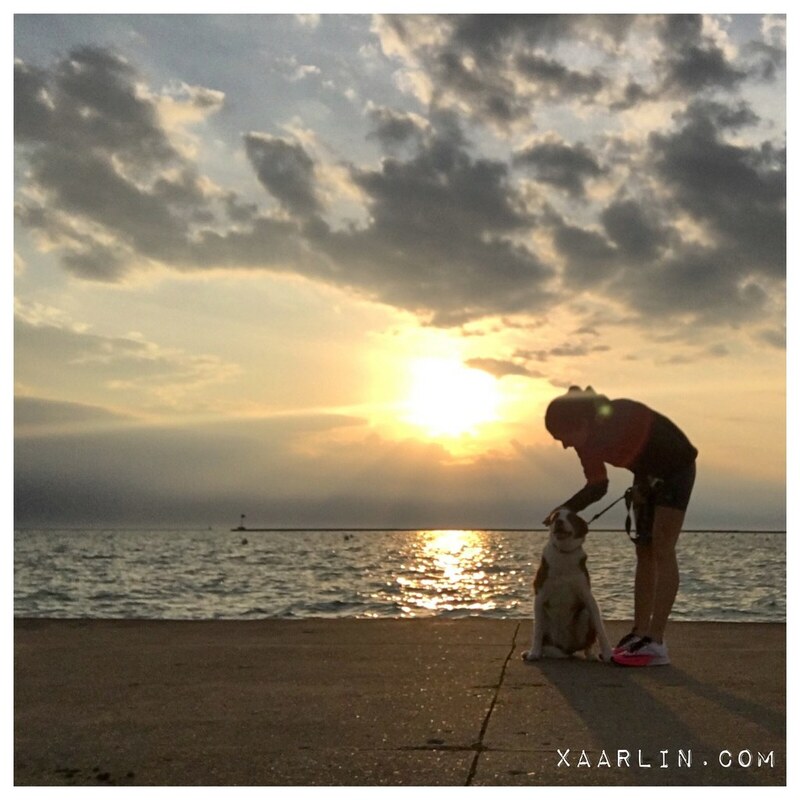 I did a few easy runs and some JasYoga during the week too. I did one little speed sesh on Wednesday or Thursday- some 4x400's in my new shoes. I felt good. From December 12, through April 17, I cycled 397 miles, and ran 685 miles. Overall I felt really good about my training- and felt optimistic about the race. We got to do a shakeout with MRC Boston/Copenhagen on Sunday. It's always nice to see old friends and make new ones at MRC. 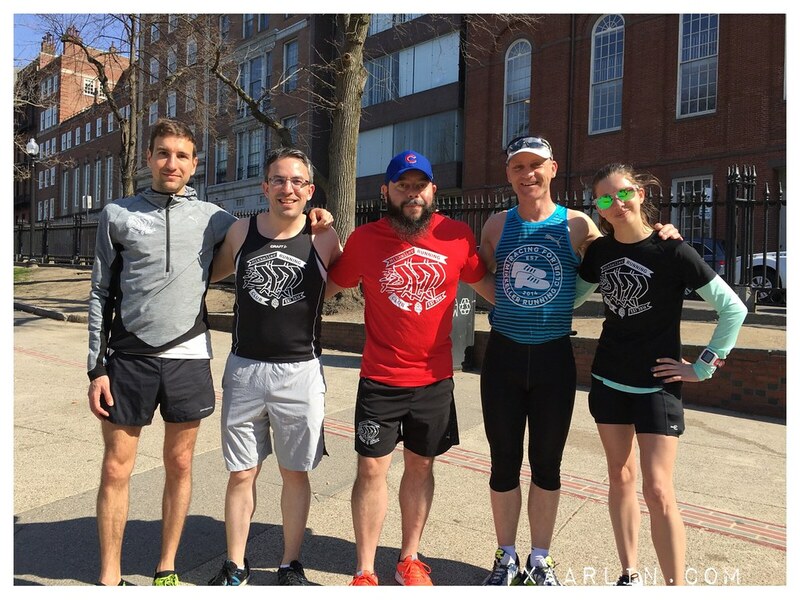 We had fun running a few easy miles in 80 degrees to Cambridge. At the beginning of the week the predicted temps for Marathon Monday were going to be in the 40's. As the week went on, the heat kept rising. Uh oh! I was still confident that my "heat training" would pay off so I wasn't too worried. I was optimistic that Sunday's 80 degrees would dissipate to high 50's by Monday morning. (If it happens in Chicago, it can happen in Boston!?) I thought a 3:30 or BQ sub 3:40 would have been possible going into Monday morning. The weather had other plans though. I was feeling so good for this race. I had lost 8lbs since February 1. Training had went well. I wasn't going to let heat scare me into a bad race. We walked around Boston a little bit during the weekend. 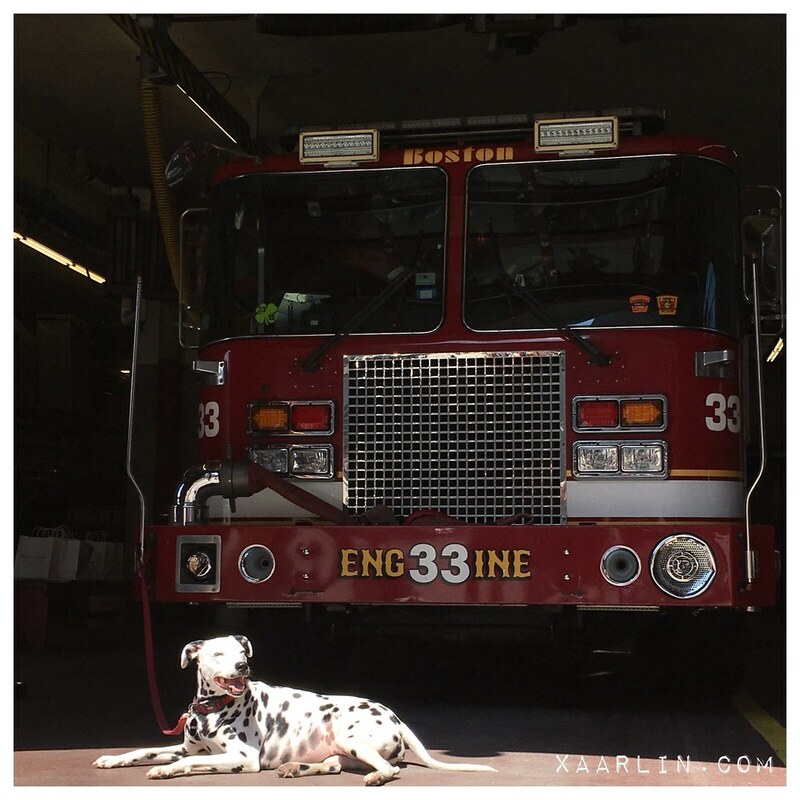 We saw the firehouse on the corner of Hereford and Boylston- and their cute pup hanging out in the sun. We went to Trillium Brewery in Canton. We met friends for dinner. We ran into one of our friends at the expo randomly before we could try to coordinate a meetup. The week was full of awesomeness. It was everything I hoped it would be. 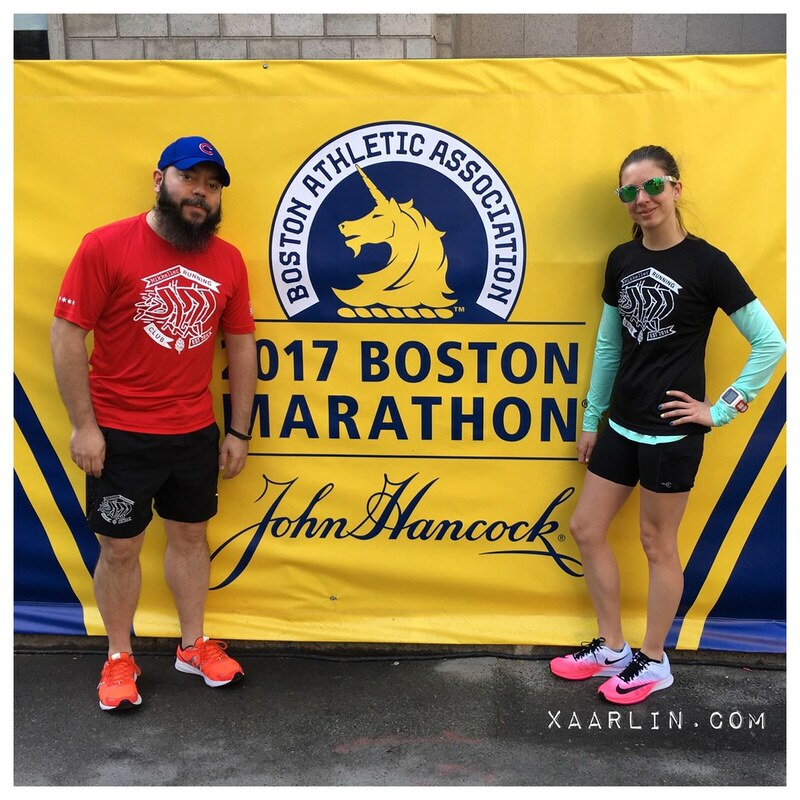 I was so freaking pumped to actually run the Boston Marathon as a qualifier! 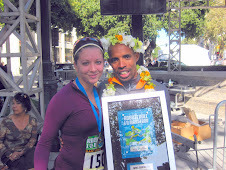 I had run it in 2011 with a sponsor bib because I had won a contest- I got to share the experience with my Daad who had fulfilled his lifelong goal of qualifying then. But to run as a time qualifier had been my goal since 2011. It took 3 failed attempts at BQ (and missing by minutes) and then waiting a year to be here. I was so excited. I never saw Bill Rodgers :( maybe next time. Beer +all the foods really add up for me. I can swing a good 3lbs in 24 hours. I was thinking about how smart you were to do your heat training when I saw the temps rising on race day! 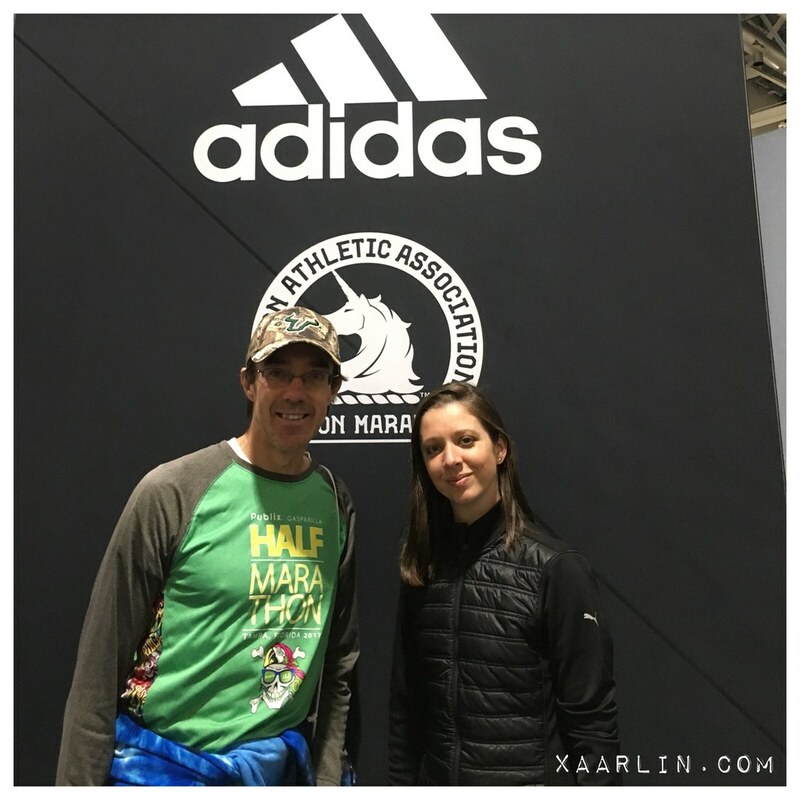 Did you or the race draw that heart on the bib number? Looking forward to your recap! 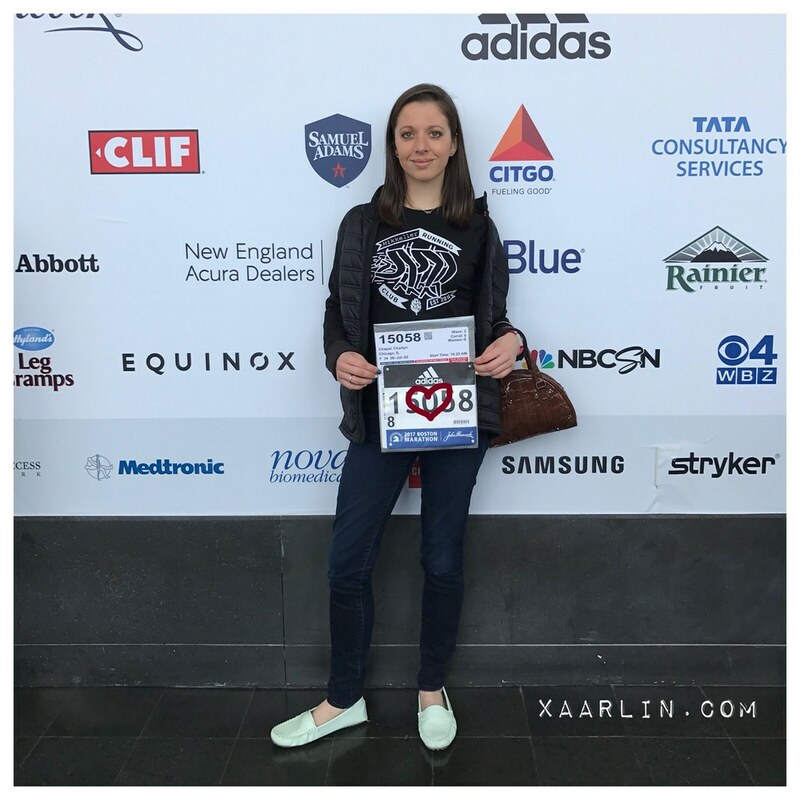 I drew the heart on the photo- but after taking that pic of me and my bib, I picked up my Boston Shirt and bag and the lady drew a heart on it. It made me cry. I hope to write the recap today. I feel it's going to take an hour. So many thoughts! And a stories!